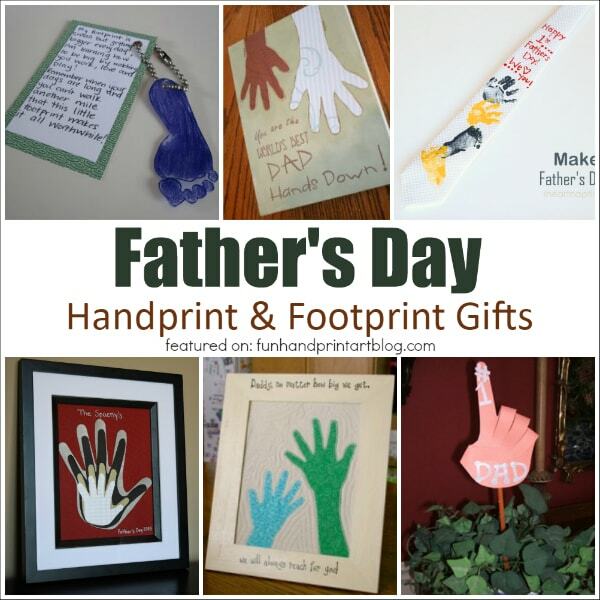 Today, I am spotlighting Father’s Day handprint and footprint crafts from around the web. There are so many great ideas out there! 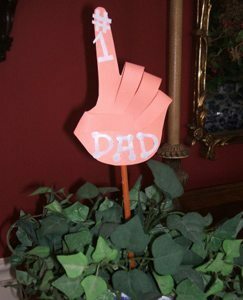 You can see tons of other creative ideas in our Father’s Day category. Today’s features include a handmade tie, keychain, wall hangings, and more. 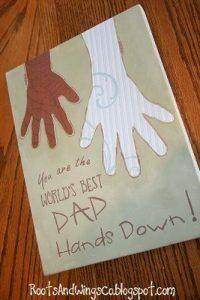 Source: Roots & Wings Co.
World’s Best Dad Hands Down! 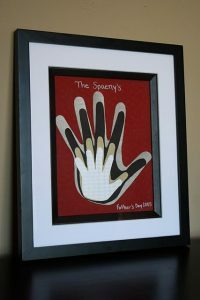 Post a photo or link to your blog post of Father’s Day handprint and footprints crafts you have made to our FB wall – we’d love to see them! Follow Amanda @artsy_momma’s board Make for Dads or Grandpas on Pinterest. I would like to add one. I posted on my blog. These are wonderful! They make me wish my son was still small enough to do them. Hmmm . . . I wonder is a 6&4 police officer is too old to make some of these works of art??? 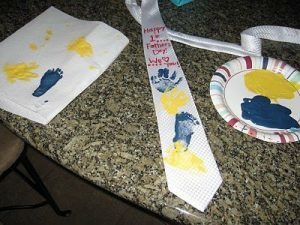 LOL 🙂 ;We did a wonerful handprint Father’s Day gift in our class this year. I thought you might like to see it. How beautiful. I’ll have to dig out my scrapbook paper. I think I can even use fabric and cording for the journals. I love home made gifts. 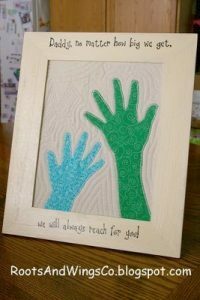 Handprints are custom!